Homemade lasagna is a favorite meal that many people do not have time to make due to work and various other obligations. If you are someone who loves lasagna, then these lasagna cupcakes are a great way to enjoy a homemade meal that’s quick and easy. 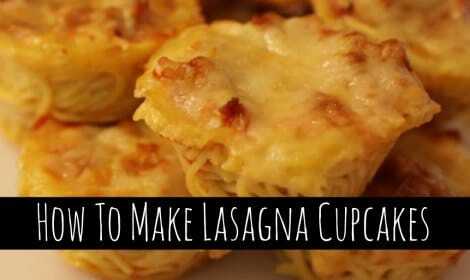 There are two twists to homemade lasagna cupcakes. First, spaghetti noodles are used in place of traditional lasagna type noodles. Second, the lasagna is served in individual cupcake dishes instead one large casserole dish. Not only are these mini-meals quick to make, they are easy to pack for lunches and individual meals. If you love these lasagna cupcakes, then we you’ll love these 13 other non-sweet, yet savory dinner cupcake shared by huffingtonpost.com at the link below.